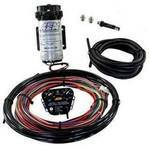 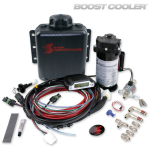 This is a Vehicle Specific Kit for the Fd3s Recirculation Adapter is Included. 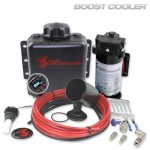 A triple fin and replacing type recirculation adapter are included for vehicle specific kits. 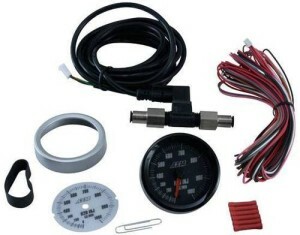 (These parts are not included in the universal kit.) 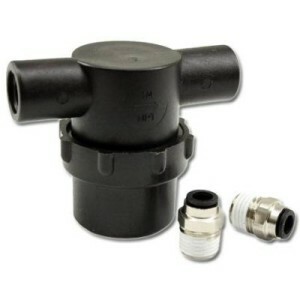 Using this recirculation adapter allows suction return by fabricating the return piping. 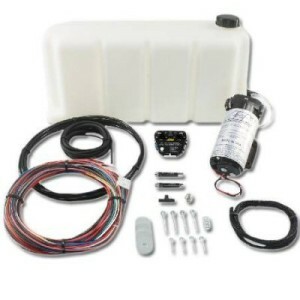 (Some kits include Suction Return Kit.) 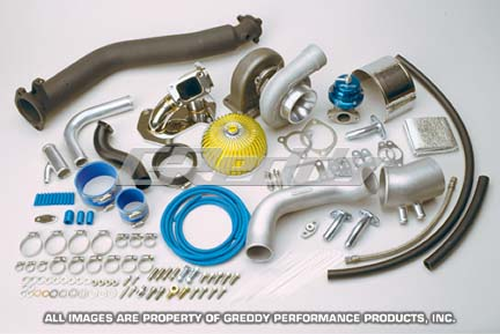 The vehicle specific Suction Return Kit (Blow-off parts) is available separately. 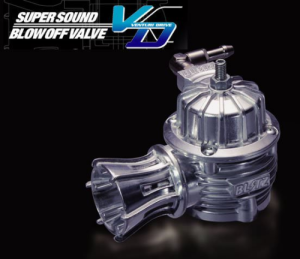 The GReddy BOV FV is a new generation of blow off valve. 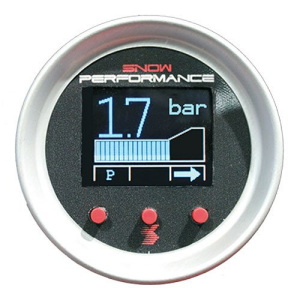 The unique "Floating Valve" design incorporates a revised adjustable dual spring system, while maintaining the advantages of the previous models' push valve structure and silicone diaphragm control. 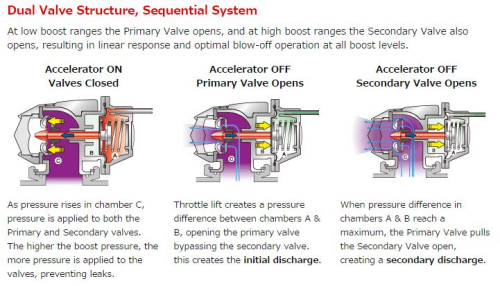 The improved design makes spring preload setting less dependent on the idle, while providing better response, increased valve travel, more air-flow and added resistance to premature valve lift under all conditions. 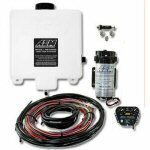 Also maintained is a slimer CNC outlet with discharge ports to draws surrounding air to amplify the blow-off sound, however this can be replaced with optional re-circulation adapters in various sizes. 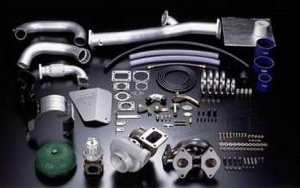 This Kit is Designed to run on the standard RX-7 Twin turbo Setup, Modification to enable use on a single Turbo Should be possible with the Aluminum Adaptor Sold Seperately. 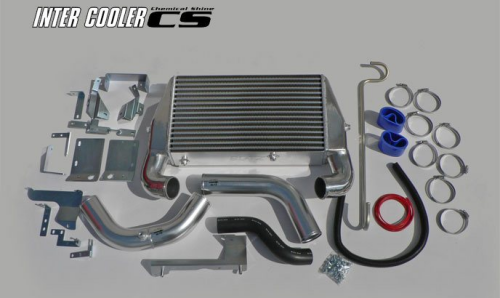 Take things a leap further with the Racing Suction Reloaded Intake kit. 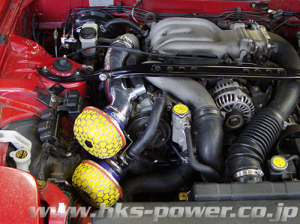 The Racing Suction reloaded kit from HKS takes things a leap further by improving on the Super Power Flo Reloaded intake system to reduce intake air resistance even further by removing most of the stock intake pipes that can cause turbulence due to the corrugations normally found in them. 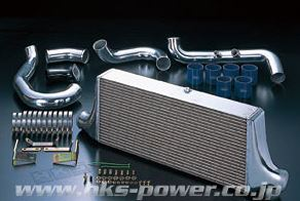 The pipes are made from aluminium and include 2 x 150mm-70mm diamiter HKS Racing Suction Reloaded Air filters in Yellow. 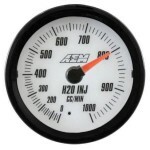 Each filter has an easily replaceable "wet 2 layer" foam filter mounted in to the signature HKS filter frame. 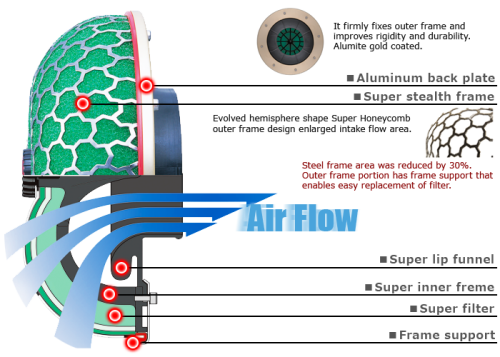 Wet 2 Layer Type Super Filter has been used and proofed long time. 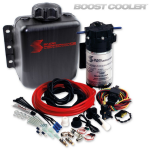 It reduces intake resistance and special high viscosity glue has high dust collection performance. 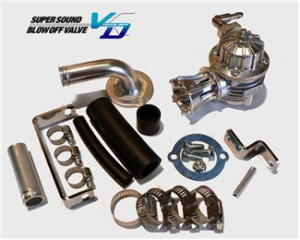 (These can re replaced with the 3 layer dry type filter element) Each kit includes everything required to carry out the full converisons from the stock intake airbox system to the HKS Racing Suction Reloaded setup for your RX-7 FD. 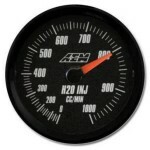 The improvement brought from this conversion should have a noticeable effect to the engine response, and power output. 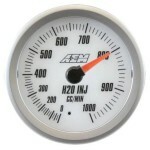 Please note that delivery may take up to 28 days if not in stock. 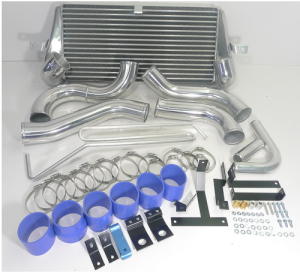 The Super Power Flow reloaded kit from HKS has been designed to reduce intake air resistance by removing stock intake pipes that can cause turbulence due to the corrugations normally found in them. 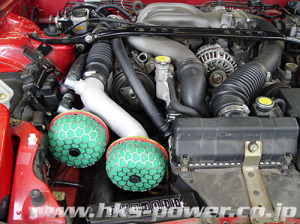 The pipes are made from aluminium and include 2 x 150mmx60mm diamiter HKS Super Power Flow Air filters in green. 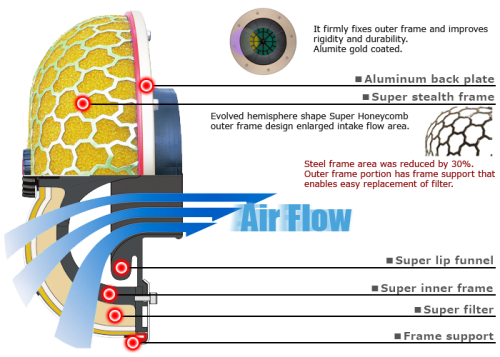 Each filter has an easily replaceable "Dry 3 layer" foam filter mounted in to the signature HKS filter frame. 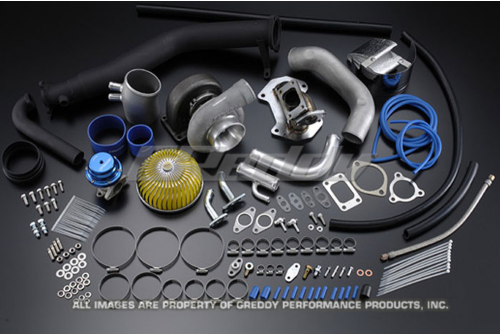 Each kit includes everything required to carry out the full conversions from the stock intake airbox system to the HKS Racing Suction Reloaded setup for your RX-7 FD.